Every superhero has an origin story. 12-year-old Cassius Clay's story begins with a chance encounter with a police officer who teaches him how to box. Louisville, KY, when his bike gets stolen and he meets a police officer who teaches him how to box. Step into the ring with Cassius (and his world-famous wit and sense of humor) as he becomes one of history’s greatest boxers and civil rights advocates, Muhammad Ali. reflects the reality of the setting of the play, 1960s segregated America. For more information, click here. 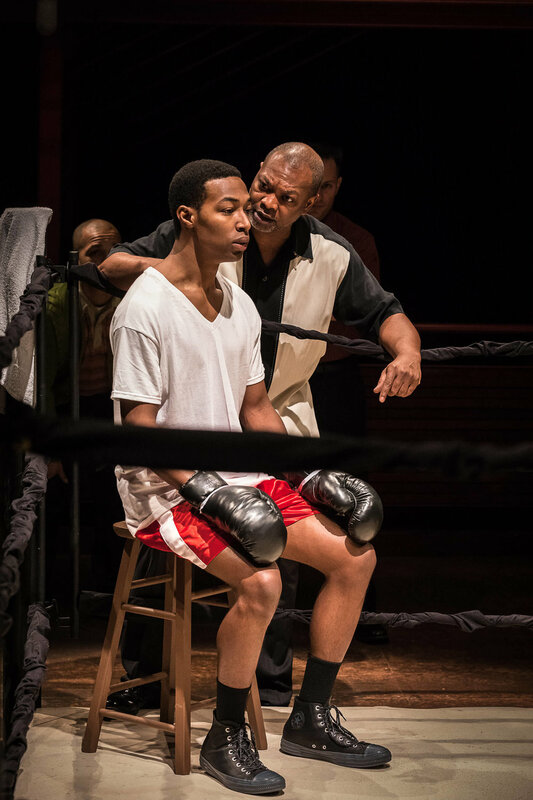 "La’Tevin Alexander delivers a knockout performance as Clay, channeling his trademark humor and self-assurance and fleshing out a thoroughly believable transformation from one who fights for himself to one who fights for all." 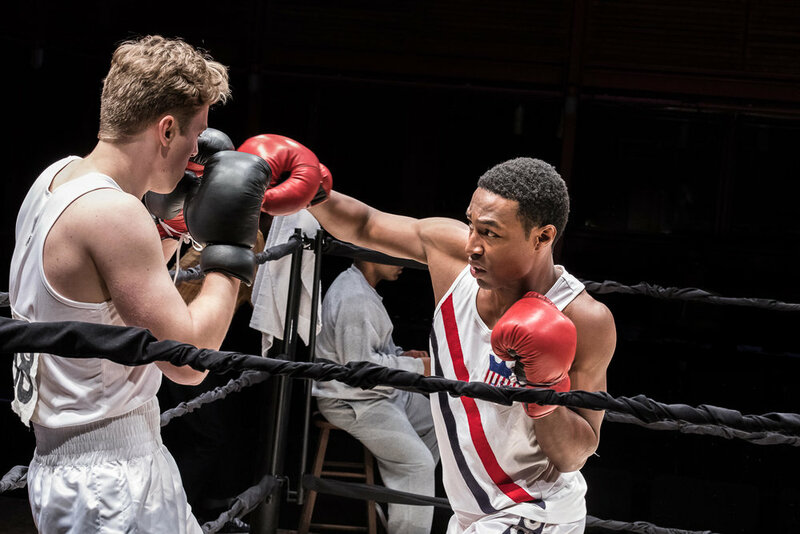 "[La'Tevin] Alexander’s performance was natural and captivating and magnetic, much like Cassius Clay himself..."And In This Corner" doesn’t shy away from difficult topics or situations, but it’s also full of laugh-out-loud moments." And in This Corner: Cassius Clay. Photo by Owen Carey.